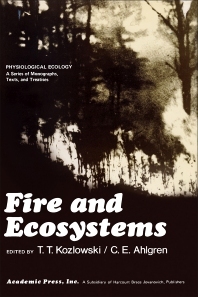 Fire and Ecosystems focuses on a number of aspects of fire ecology. This book deals separately with both harmful and beneficial effects of fire on soils, soil organisms, animals, and plants. This reference material elucidates the effects of fire on grasslands and considers the role of fire in temperate forests and related ecosystems. Four chapters are presented on a regional basis to highlight variations in responses, especially plant succession, to fire. The use of fire in land management is also explored. This book will serve as an invaluable reference material to researchers, teachers, and land managers. V. The Southeastern Ecosystem "Fire Regimes"